Ambassador Philippe J. Lhuillier and Madame Edna Lhuillier, flanked by Representative and Mrs. Jose Enrique Garcia III of the Second District of Bataan and Consul General and Mrs. Emmanuel Fernandez. 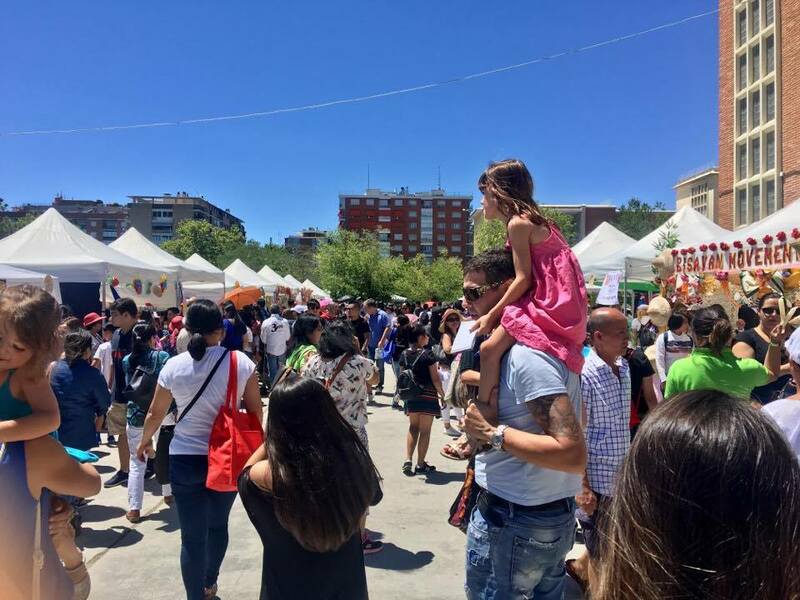 An estimated 2000 people participated in Barrio Fiesta sa Madrid 2017, which was held at Nuestra Señora de la Consolación in Madrid. 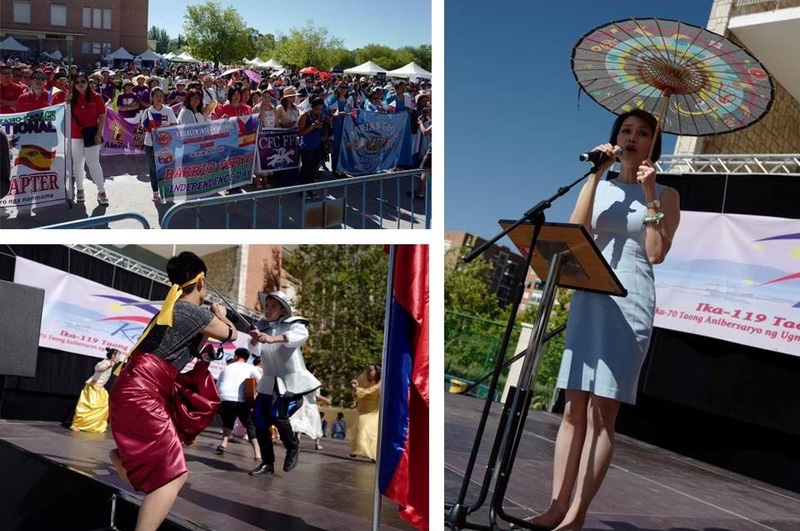 The Barrio Fiesta is a yearly event organized by the Filipino Community in Madrid, with the assistance of the Philippine Embassy. To mark the beginning of the festivities, Ambassador Philippe J. Lhuillier and Madame Edna Lhuillier cut a ceremonial ribbon. They were joined by Representative and Mrs. Jose Enrique Garcia III of the Second District of Bataan and Consul General and Mrs. Emmanuel Fernandez. A parade of the various community organizations from Madrid and other parts of Spain followed. 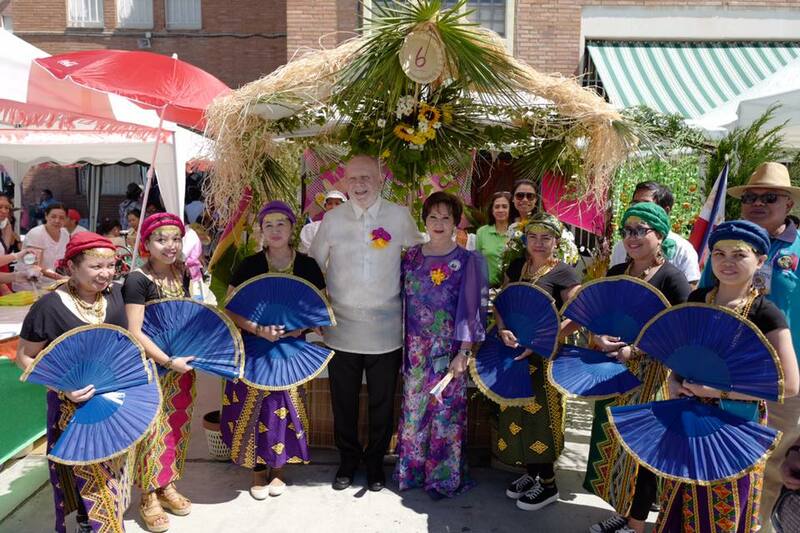 Representative Geraldine Roman of Bataan’s First District, and Representative Jose Enrique Garcia III of Bataan´s Second District, also participated in the event and delivered inspirational messages to the Filipino community. 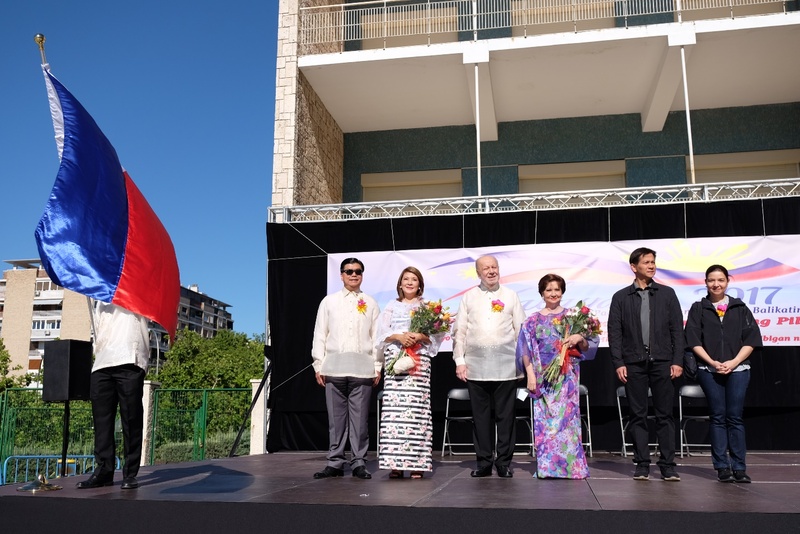 During his message, Ambassador Lhuillier mentioned his goal of further improving the profile of Filipinos in Spain and further deepening the connection between the peoples of the Philippines and Spain. He then shared the projects that he has laid out for the Embassy, among them, increased consular outreach missions in Spain and Andorra, the conduct of a congress of Filipino community leaders in October and increased academic exchanges between Filipino and Spanish educational institutions. The speeches were followed by a showcase of Filipino talent in the performing arts. The audience took time to visit the decorated tents of Filipino community associations which sold Filipino dishes and delicacies. The audience also visited the tents of sponsors, many of which handed out promotional items. Towards the afternoon, comedians from the Philippines, Ian Red and Boobsie Wonderland, also got the crowd laughing with their act. To end the program, organizers raffled off cash prizes, gifts and eight return plane tickets to the Philippines.